You’re not alone if you thought the number of murders and shootings in Chicago have skyrocketed in recent weeks. According to the Chicago Tribune, August 2016 was the worst month in terms of homicides in nearly 20 years. There have been at least 78 murders as of Aug. 29, representing the highest number since October 1997, when there were 79 homicides. Over the weekend, 67 people were shot, with 11 of them being fatal. At least 400 people were shot in August, and more than 2,800 people were shot this year, the report says. In all of 2015, there were 490 homicides. As of late August, 487 people were killed, the Chicago Tribune’s report said. 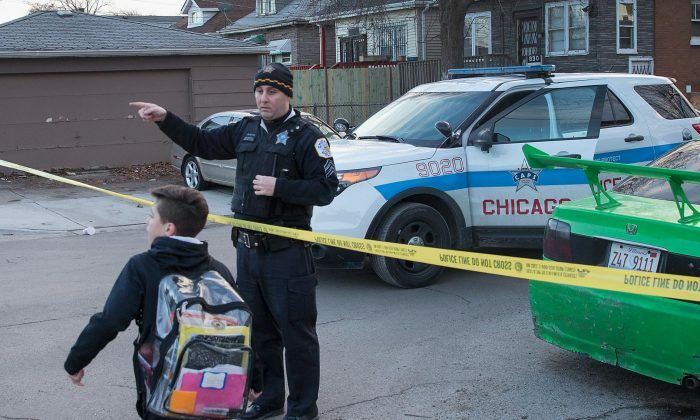 Chicago’s homicide rate is lower than some smaller cities, but most of the city’s crime and murders are relegated to the South Side and West Side. Meanwhile, Chicago has experienced more murders and shootings than New York City and Los Angeles combined, according to the Tribune. According to DNAInfo’s statistics, compared with last August, shootings are up 35 percent and the number of people who have been shot are 28 percent up in August 2016. The shootings in August were punctuated this week by the murder of Nykea Aldridge, the cousin of NBA superstar Dwayne Wade. Chicago police arrested two brothers, 22-year-old Derren Sorrells and 26-year-old Darwin Sorrells, and charged them with first-degree murder. According to CBS News, Chicago police spokesman Anthony Guglielmi said Derren is a “documented member of the Gangster Disciples” and is currently on parole. His brother, described as a “co-conspirator,” is also on parole. Aldridge was reportedly gunned down as she was walking to register her children for school.